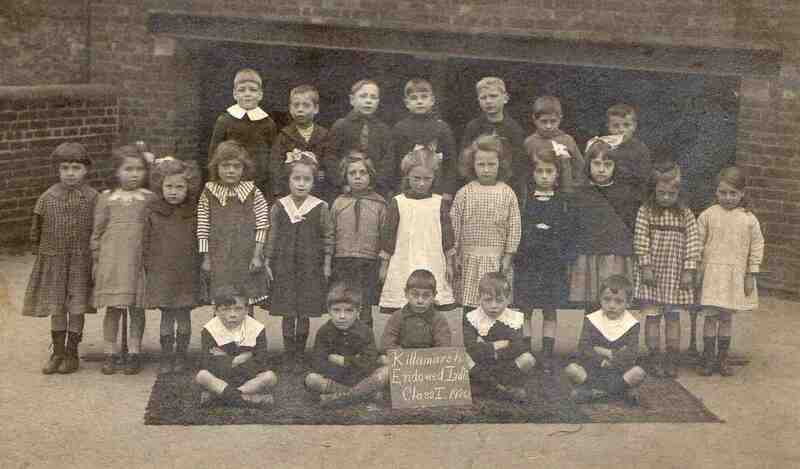 Killamarsh Endowed School Class I in 1920. Photo courtesy of Glyn Beedham. I remember that storage place in the background very well. It was in the playground at the back of the classrooms and underneath the classroom at the bottom of main courtyard. To the left there were the girls then the boys toilets and directly behind the photographer at the top of the playground was the prefabricated canteen (same construction as the dole office at Eckington (which is now Castle Hill Court)) where my aunty Amy was a dinner lady. Over the wall to the left was the rectory house where later John Green lived who I went on holiday with to Torquay ( in his Morris Oxford or Austin Cambridge) along with Rodney Hilton and my best mate Ralph Beedham.